Cuddle time. 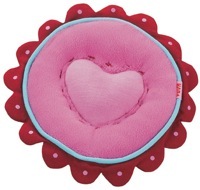 This soft clutching toy is filled with granulate and krinkle paper. Measures 4.5" across.